What kind of capitalism is it possible for the left to build? To win power, the left must build a narrative around ending privatisation, empowering the workforce and borrowing to invest. To stay in power, left governments must transition towards an economy based on high automation, shorter working hours and free services. 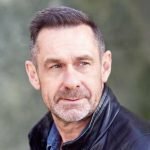 To solve the problem of working class atomisation, and create a narrative for social democracy, the British Labour party and other social-democratic parties should focus their efforts on achieving a tangible upward movement in incomes, health, lifestyles and prospects for working age adults over the next 10 years. To solve the problem that globalisation empowered corporations while limiting the sovereignty of electorates, we must be prepared to retreat from extreme globalisation, into a “second trench”, consisting of national economic policymaking in the context of international solidarity, abandoning certain supranational regulations deemed currently to have the force of eternal law. To solve the problem of agency, we need to understand that oppression and exploitation take many forms in late-neoliberal capitalism, and that the movement to deliver a progressive government will most likely be a tribal alliance of people adversely affected. In that alliance, the traditional working class and labour movement structures will exist, but will not have hegemony; where working class culture has been inverted into a form of nostalgic ethno-nationalism, the movements and demands it produces will have to be resisted. 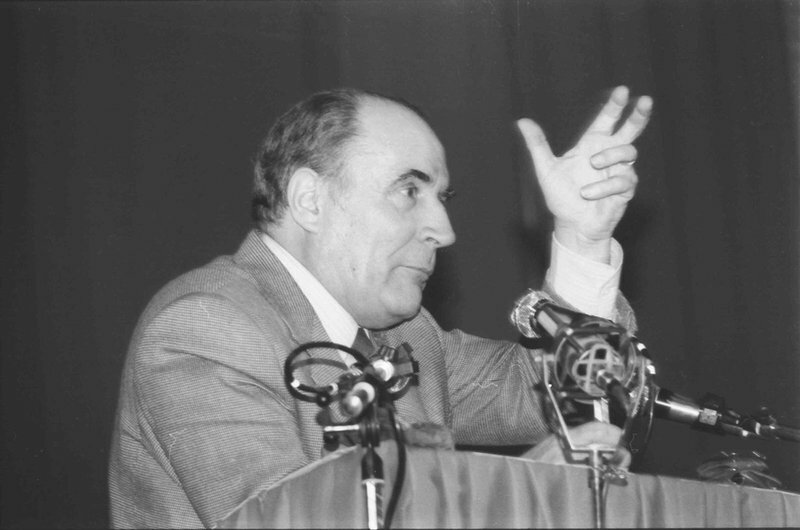 In Britain, the practical implications of the above are for Labour to seek a progressive electoral or governmental alliance with the Greens and left nationalists; for a rapid rise in real disposable incomes to be the number one deliverable of a progressive government; and for that government to fight for the reform of all multilateral treaties or obligation that stand in the way of social justice – whether it be the EU or the World Trade Oraganisation. But what, practically, should a left-wing government do, and in what sequence? The answer to this is not obvious from reading Labour’s 20,000 word 2017 general election manifesto – detailed though it was, nor from the 100+ bullet points that formed the manifesto of Podemos. Nor even the 83 chapters of L’Avenir En Commun, on which Jean-Luc Melenchon fought for the French presidency in 2017. None of these documents reads like a battle plan; in fact, they read more like an infantry manual full of standard procedures, rules and principles. None was likely to survive contact with the enemy if the parties that produced them had gained power. To transform capitalism rapidly in the direction of democracy and social justice, you need a linked series of actions – and a project-management understanding of their synergies and interrelationships. With regards to individual rights, the aim would be massive, free and easy access to the justice system, whereby individual workers can enforce their human rights against employers. Though in the UK it would require reversal of legislation from the neoliberal era, ministerial directives could do a lot of the work up front. With regards to collective rights, the removal of exemptions for small businesses, and for people in post for less than an arbitrary time limit would be easy game changers before primary legislation takes place. 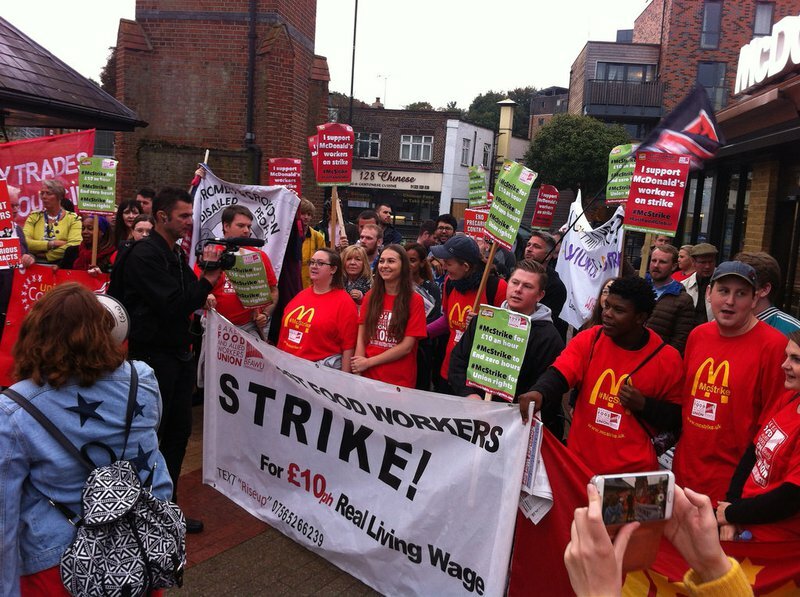 An employment minister turning up at McDonalds, TGI Fridays or Pret A Manger, with the cameras but unannounced, to tell the workforce that within six months they will have the right to a living wage, union representation on the board, collective wage bargaining, paid holidays and maternity leave could have as much effect on behavioural change as the legislation itself. The issue of bogus self-employment, which plagues industries as diverse as construction, hairdressing and journalism could be addressed by the relevant Treasury surveillance department having its staff tripled and bonuses paid for successful prosecutions of the relevant employers. Since the business model of these sectors would have to change, it would require a transition period to get the relevant workforce on the books, paying the right taxes and receiving the right benefits. But the early signal should trigger rapid behaviour change among all those businesses that intended to survive. Non-intervention in fiscal policy: then Bank of England governor Mervyn King once threatened to counteract any fiscal stimulus by the Brown government in excess of what he deemed strictly necessary to maintain inflation at around 2%. Such reasoning should be explicitly excluded, demoting the central bank from its high perch in the neoliberal hierarchy. A policy to promote mild inflation: under neoliberalism, because the implicit fear was of a wage take-off which never materialised, central banks like the Bank of England always put the brakes on growth and never put the brakes hard enough on recessions. Macroprudential regulation: i.e. spotting and preventing boom-bust cycles and the failure of systemic banks, roughly as now only with more political transparency and prejudice in favour of early intervention. massive asymmetries of information, and therefore power. The zero-marginal cost effect, which calls into being vast monopolies like Facebook, Google, IBM and Microsoft whose sole aim is to suppress price formation. Network effects, dubbed positive externalities by economists, which are captured by information monopolies, preventing the socially useful exploitation of user data except where it is useful to the monopolies. New information asymmetries, which market theory says should be eroded by competition, are institutionalised with copyright, IP and patents extended ad infinite by the power of global corporations, and with the mass of small investors permanently disempowered compared to the large, niche, unaccountable ones. From this contrast between the potential of the information economy and its malformed present arises the need for a programme of transition which radical social democracy should graft onto – and indeed into – the more traditional measures outlined above. It should include: 1. Breaking up or nationalising information monopolies, like Facebook and Amazon, so that price competition can bring the cost of information goods closer to zero. 2. Subsidising a programme of rapid automation with taxpayer-funded basic services and basic incomes: transport, education to degree level, healthcare and housing should be at a basic level free and beyond that cheap. 3. Outlawing the seizure and colonisation of collective user data by the IT industry and make data a public good. Empower citizens to tweak and control the conditions under which private companies own and exploit their data, using mechanisms such as the blockchain. This is the principle behind current trials both in Barcelona and Amsterdam, and if generalised would represent a major reversal and limitation of the power of the info-monopolies. 4. Enacting a new, universal human right to information symmetry: “no decisions about me, without me”, if translated into the information sphere, would force global corporations to cease building business models on the basis of permanent asymmetry of power and information. Algorithms should be transparent, and artificial intelligence deployed only with informed consent and under strict ethical guidelines. Data privacy should be a fundamental human right, and flouting it should lead to the termination of a corporation’s licence to operate. Though breaking up the tech monopolies costs you nothing (apart from political grief), the move to a basic income and services model, paid for out of taxation, would demand a major rebalancing of the tax system in favour of redistribution. Winning the argument for this becomes the key objective of a radical social democracy. Consequently, squandering redistributive taxation measures in pursuit of the pet social-democratic objectives should be, where possible, avoided. Instead of relying on redistributive tax measures, a sovereign state like Britain, the USA or the Eurozone has the ability, using its central bank, currency and new borrowing, to fund the “Keynesian” half of what I propose here. The other half – the massive cheapening of goods and services required to make everyday life with low work hours – is what needs new, redistributive taxation. “Your kids go to school, your healthcare becomes world class, your journey to work cheap and your home affordable… and Facebook, Google, Deutsche Bank and some hedge funds pay for it,” is a narrative that I think, if confidently outlined, could allow the radical left to breakthrough into government across the developed world. Especially once the ethnic-utopias of the demagogic right deliver, as expected, only tears and disappointment. 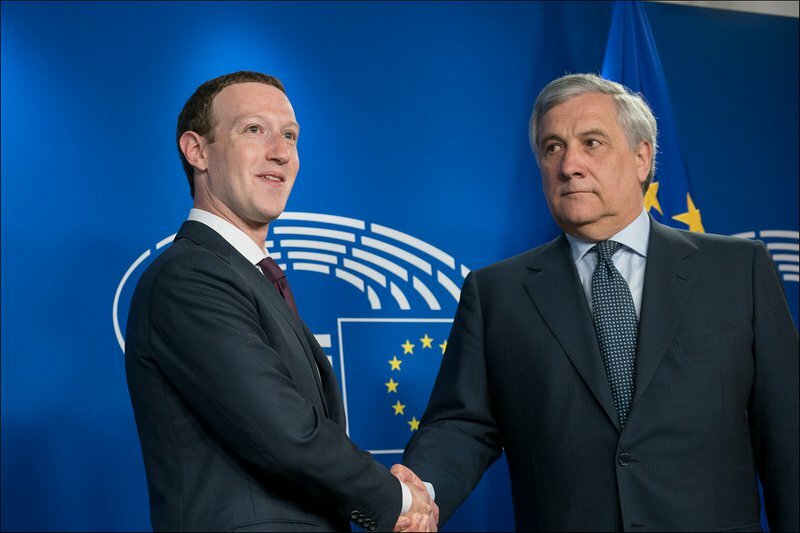 [caption id="attachment_3152" align="aligncenter" width="550"] Facebook CEO Mark Zuckerberg meets members of the European Parliament. Image: European Parliament, CC BY-NC-ND 2.0[/caption] For Labour in Britain, the art of winning the next election revolves around switching off the scatter gun of progressive promises and building a tight narrative around economic transformation, wage growth and the right to free basic services. The fact that the left controls the spray gun, not the right, does not solve the essential problem RH Tawney pointed to in the 1930s: either Labour has a clear strategy or it has a shopping list written by a committee. Tawney’s survey of Labour under George Lansbury in 1934 described Labour’s programme then as “a glittering forest of Christmas trees with presents for everyone, instead of a plan of campaign for… a pretty desperate business”. Tawney advised Labour’s hierarchy to set out the kind of society it wanted to establish, the kind of resistance expected, and the mechanisms needed to overcome that resistance. Though Podemos and France Insoumise are equally guilty of the “forest of Christmas trees” approach, it should be said that their leaders have made no bones about the need for mass organisations focused on overcoming resistance. The first half of the strategy I have proposed here draws on classic Keynesianism but goes way beyond it: it requires a revolution in thinking about the central bank; the removal of market-oriented culture across government; and the explicit adoption of a high wage and moderately pro-inflation policy that could, over time, begin to de-financialise society. And the imposition of new macroeconomic thinking in key government departments so that the likely positive effects of borrowing, spending and printing money are factored in. The second half, though more future oriented, has fewer policy shibboleths to overcome. The art of staying in government, and delivering irreversible change, revolves around how much of this new, transitional strategy Labour (or any other left social democracy) can manage to insert into its change programme in the first five years. Suppose it goes right. What could a radical left government expect to achieve in four or five years? In week one and month one: survive the financial backlash and mobilise the people by giving them clear, tangible things to defend. In the first year, kickstart growth and wage growth through fiscal and monetary expansion. In years two to five, allow infrastructural investment and human capital growth take over and, if possible, produce a sustainable upswing. Meanwhile, begin the microeconomic transformation to the new kinds of business model, ownership and technology regulations that are needed to allow the move to a shorter-hours, higher welfare economy. This is still only an outline. But it’s a clearer outline than the ones contained in any left manifesto in the past three years. The clearer and simpler the outline, the more easily it can be communicated to the managers, civil servants, trade union/community activists and entrepreneurs who will have to respond to it. I can anticipate numerous objections – and will deal with them if people respond to this essay. But to one objection I want to be brutally honest in advance. Is this strategy designed to allow the populations of the developed world to capture more of the growth projected over the next 5-15 years, if necessary at the cost of China, India and Brazil having to find new ways to break out of the middle income trap? Would it, in other words, flatten out and reverse the trends captured in Branko Milanovic’s famous “elephant graph” over the next two decades? For me the answer is yes. This is a programme to save democracy, democratic institutions and values in the developed world by reversing the 30-year policy of enriching the bottom 60% and the top 1% of the world’s population. It is a programme to deliver growth and prosperity in Wigan, Newport and Kirkcaldy – if necessary at the price of not delivering them to Shenzhen, Bombay and Dubai.